Additional teacher's webpage package - £5 per year: A personalised web page for teachers and performers. The web page can be reached from the "more about ..." link on the "Find a Teacher" page and from web searches through Google, Yahoo! etc. Please click on the image below to see a sample [opens in new browser window]. Contact TAF Music to learn more about the teacher's package. 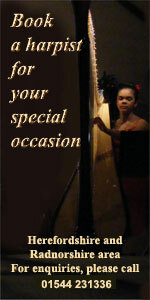 An exclusive web page that is wholly about you. The page will not have any advertising or content that is not related directly to you (except for internal links to the TAF Music website and a TAF Music header). A unique, personalised header graphic designed for you using your name and an image of your choice. You can have up to 1000 words of text which may include items such as your cv, your profile and links to booking agencies. The web page is submitted to Google, Yahoo! 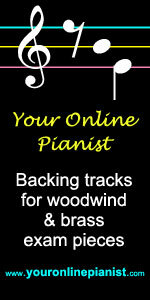 and other search engines for listing to raise your exposure to potential music students and bookings. Links from these search engines will come directly to this page. There is a £25 one-off set up charge for the additional teacher's webpage package which includes layout and graphic design. Please contact us for more details. Business Advantage advertisements on TAF Music - £10 per year: We offer an advertising opportunity for businesses, organisations and individuals to advertise their services or events to a focussed user base within the musical community on TAF Music website through site-wide banner ads. Contact TAF Music to learn more about the business ad package. Business Advantage ads are 150px wide 300px high. Ads are always displayed on the "Links and Business Ads" page (in random order). Ads are displayed randomly, where appropriate, throughout the site in the left and right margins on a rotating basis. 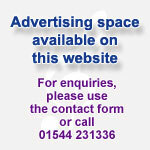 Banner ads include a link to your business if you have a website or web page. We are willing to discuss other payment methods such as a pay per click, or a percentage of sales generated though ad referrals from TAF Music. If you are interested, please get in touch to discuss this. If you are interested in business ad on TAF Music but do not have a graphic ready to go, the graphic design team at TAF Music would be happy to develop a Business Advantage ad for this site for only £25 per ad. Please contact TAF Music for more details. Links to/from Music Related Businesses: We are always interested in linking to organisations that serve the musical community and we welcome links back to the TAF Music website. Please contact TAF Music if you would like us to put a link on this website or would like a graphic to link to us. Please note that to keep our website useful to musicians, and in line with search engine policies, we will only link to websites of musicians, music-related businesses or other businesses that can demonstrate a direct benefit the musical community. Bespoke website development: The world wide web is becoming more important in daily life and a good web site is an essential way to embrace modern communications. If you are considering a website, our partner web development business, Maweb, are the people to talk to. They will not blind you with science or confuse you with technical terms, they will discuss your needs in plain English and develop a website that you will be proud of. Whether you want a simple site with a few static pages, a complete on-line shop or something in the middle, they have the experience to bring your website alive. For more details, please visit the website at www.maweb.co.uk.